Toronto Dogs Directory: Global Pet Foods Raises Over $170 000 With Annual "Show Us Your Heart" Campaign - Awesome!! 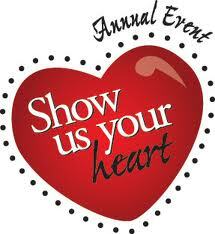 Global Pet Foods Raises Over $170 000 With Annual "Show Us Your Heart" Campaign - Awesome!! Show Us Your Heart™ raises over $170,000 for homeless pets! TORONTO, February 26, 2013— Money may not buy the wag of a dog’s tail, but $170,000 will help shelters across Canada turn homeless pets’ stories into happy tales. Global Pet Foods and Hill’s Science Diet are proud to announce the 7th Annual Show Us Your Heart™ campaign raised over $170,000 for local animal shelters, breaking last year’s record. From February 2 - 16 Global Pet Foods and Hill’s Science Diet, along with Cherry and Blue, asked Canadian pet parents to show their hearts to homeless pets by making a donation at any Global Pet Foods store or by texting ‘Heart’ on their mobile phones for a five dollar donation. Global Pet Foods and Hill’s Science Diet then matched the first dollar of each in-store donation. All proceeds raised during Show Us Your Heart will be donated to local animal shelters and pet charities. Since its inception, Show Us Your Heart™ has raised over $570,000 for homeless pets. Global Pet Foods is Canada's largest chain of pet food stores specializing in natural, holistic and organic foods and supplements, with over 160 stores across Canada and the United States.